Oh yes, I would recommend that Dulen be one of the three members you can control because there are a few treasure chests that require his Personal Action. The tablet near the entrance resets the room. Any depressed pressure plates will remain so until you hit another plate elsewhere. This means you can walk over them without worry that the platforms will move. Go to pressure plate A. Move north to B. Regular chest on bottom right is a Heal Troche. Chest for Dulen contains a Shield Ring IV (シールドリングⅣ). Go to D then immediately hit E. Travel northwest to the normal chest for Panaceas x 3 (万能薬). Interact with the tablet on the left side of the two stone heads and choose the top option. It will disable the spike trap. Go north to step on F.
Run to I and then go east to the gold chest. 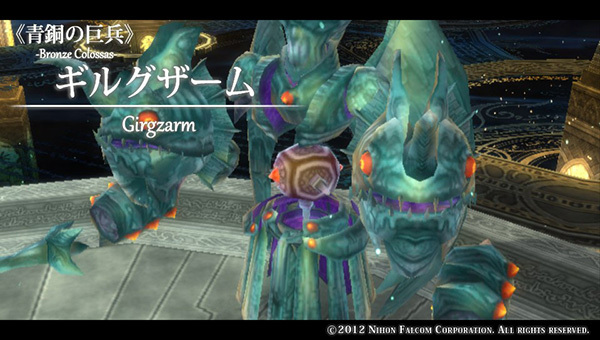 It has Dulen’s Purgatorio (プルガトリオ), his second strongest weapon. Now head west to the regular chest for a Roda Leaf (ロダの葉). Move over J and then go to K.
Go all the way north for a Dulen chest with a Celceta Nostrum (セルセタの秘薬). Go to L. The tablet here re-activates all pressure plates. Make your way to the pool of water and put on the Beast King Claw (獣王の篭手) to smash both of the giant jars on either side. Swim to northern region. I’m not going to do a walkthrough since the teleports are straightforward and won’t send you from one end of the screen to the next or anything. Do be careful of the weird horned-enemy since it can put status effects on characters. Touch G and immediately go back to F.
Go to the small platform on the east to open the Dulen chest for a Temple Cloth (テンプルクロス). 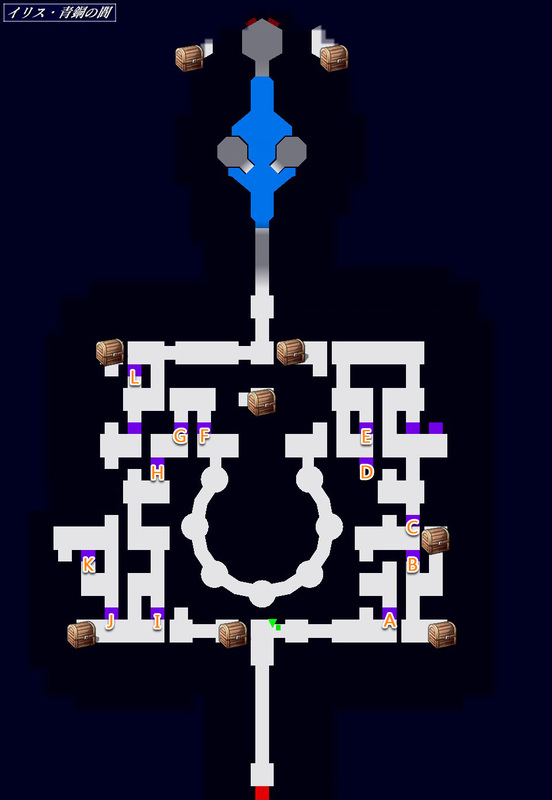 Teleport to either the end of the Bronze Space (if you already activated the waystone there and haven’t defeated the boss yet) or back outside to the main area of Iris, or run back all the way to the tablet next to the first pressure plate. The gold chest further up north, just south of the waystone has the Apocalypse (アポカリプス) which is a sword for Adol.